David has been Professor of Petroleum Geology at Aberdeen since 1999, having been Director and Chief Geologist at the Cambridge Arctic Shelf Programme between 1993 and 1999. He previously had stints at the British Antarctic Survey, BP and the University of Keele, having graduated from the University of Glasgow in 1975. His PhD was from the University of Cambridge in 1982. His research Interests include petroleum geology; tectonics and sedimentology. 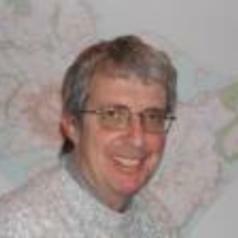 He is currently working on the links between large-scale tectonics and sediment supply. He has a particular interest in deltas at continental margins and plate boundaries, with current PhD students active in Nigeria (Niger-Benue system), Brazil and California (palaeo-delta of the Colorado River).